We have found an unique way to create 3D software boxes. Simply create the cover, and after that with a few clicks you can rotate, resize, roll, flip, move the 3D box around your screen. 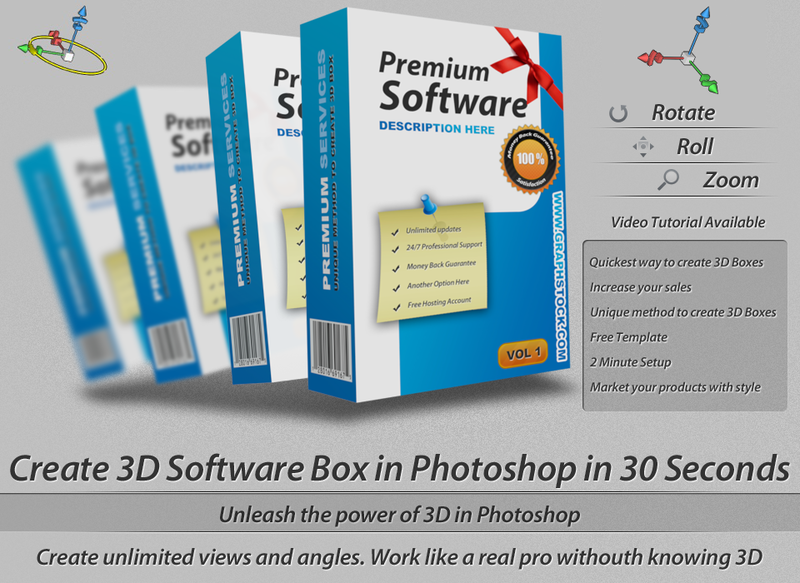 Register for a Premium account and download this cool product which allows you to create 3D software boxes in photoshop without knowing 3D at all. Why is so good ? You can create unlimited software boxes in different angles. Your software box will never look the same. Free template available to help you start properly. Increase your sales with over 30 % if you use nice graphics. You can work like a 3D artist without knowing 3D techniques at all. Focus on your products and not on how to create 3D software boxes. Works on both mac and windows. You can install it on unlimited machines. Products placed in virtual software boxes sells better. Yes we plan to add more templates, and we will release them for our premium members. It was really a nice video, the content was too good.